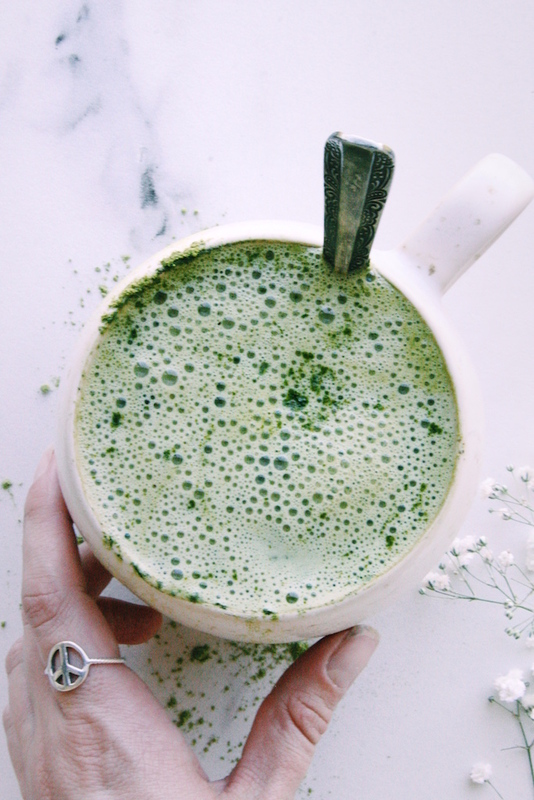 A delicious and creamy matcha latte is the perfect pick me up drink! It’s also a great coffee substitute if you are trying to cut back but still wanting something to give you a boost of energy throughout the day (without the coffee crash). 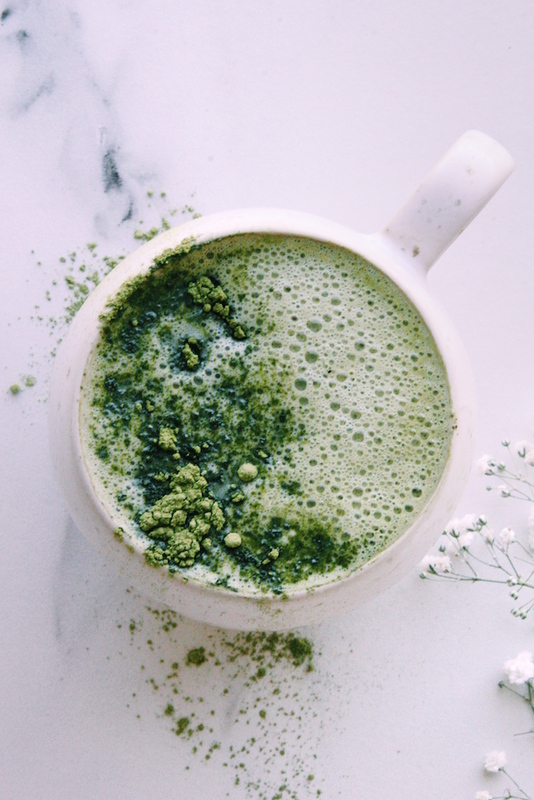 The awesome thing about matcha is that it’s packed full of antioxidants and helps with your metabolism! When shopping for matcha look for pure organic matcha so no nasties are added. In a saucepan, heat up water + soy milk (not boiling) then turn off heat. Add matcha and whisk until matcha clumps are dissolved. Pour into a blender then add remaining ingredients. Blend until combined. Pour into your favourite mug, add toppings and enjoy as a snack with some fresh fruit or as an alternative to coffee! 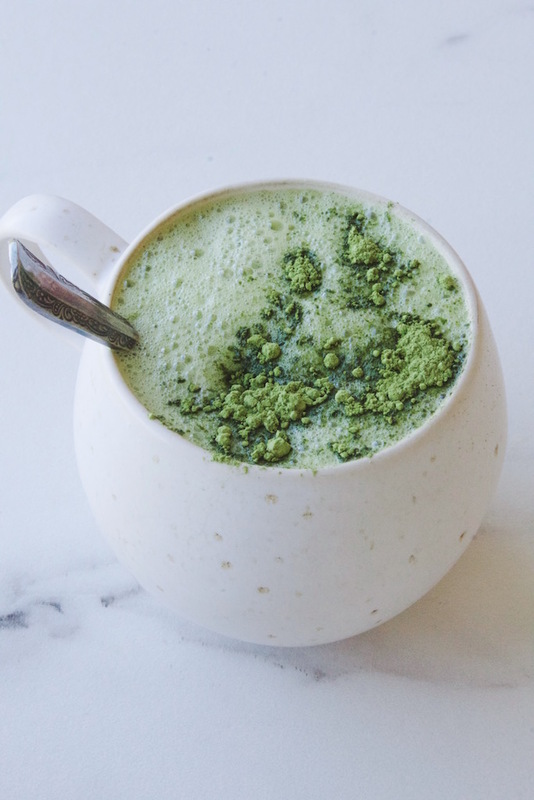 I never would have thought of putting cashew butter in a matcha latte! I do bet that it would add the perfect creaminess and flavor into the latte. Looks amazing!